How can another English-speaking country be so different? While I’m sure there are more onion-like layers of US culture we are yet to peel back, I’ve already gleaned a better perspective what makes the United States tick. Like Santa, I’ve been keeping a list of naughty, nice and weird things that may freak out fellow Australians. Hopefully this cultural education can prevent other Aussies from looking like fools or even getting themselves into trouble. Sit back, relax and have a laugh at the differences between the US and Australia. 1. Thongs are not shoes. 2. Everything is big in the US - cars are all big, you can buy a pizza slice bigger than your head, and even the meals at McDonald’s are big. If you order a “medium” it comes out as an Australian “large” size. “Small” does not even exist. 3. 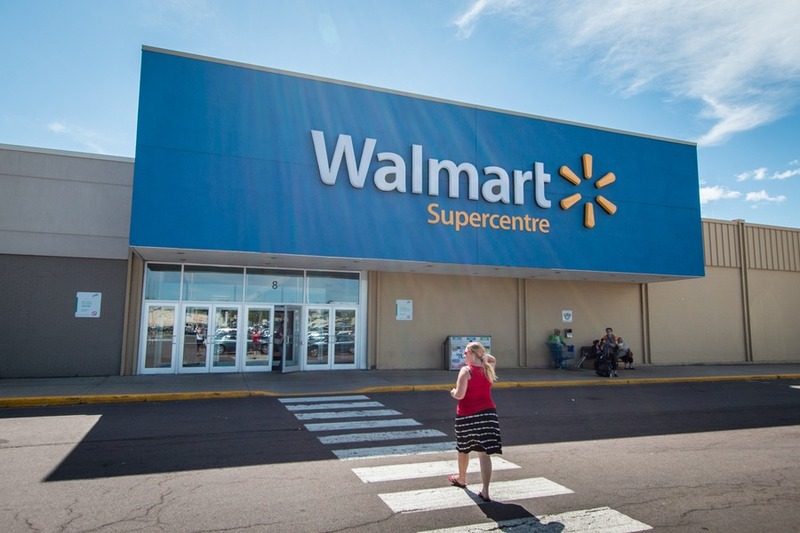 Talking about big – Walmart is insane! They have everything including a double isle of breakfast cereals. And everything inside is huge too like “family size” chip packets and m&ms. You can’t even buy less than 12 rolls of toilet paper at a time! 4. Chicken and waffles is a thing. I mean, what is that? 5. Coke is so sweet. There is a noticeable difference since they don’t use sugar, rather high fructose corn syrup. 6. Most restaurants give free refills, hence why you can get fat so easily in the US. 7. Olive Garden is amazing and you can feed a family for $24 without a coupon. 8. There is a coupon for everything. 9. You can also go through drive-thru for anything. Of course there are all types of fast foods from tacos to burgers, but why stop there? Drive thru pharmacies, drive thru ATMs. I mean, why waste time getting out of your car to do those things? No, but really, why doesn’t every country do drive-thru ATMs? 10. They have cream in their coffee. Some hotels don’t have any milk at all, just cream. 11. They serve iced tea everywhere, although I’m not sure how much of it is actually tea. 12. A main course is called an “entrée”. When I first started watching Masterchef US I was so confused. Contestants were asked to make entrees and they were huge. Then I understood. So confusing since an entrée is actually the start of the meal in most other countries. A better name – “appetizer”. 13. There are so many Mexican restaurants, yum. But where are all the Chinese ones? 14. Everybody wants a tip – taxi drivers, hairdressers, hotel staff, and waitresses. It’s really confusing for an Australian from a non-tipping country. Why can’t they just pay everyone a decent amount for their jobs? 15. They have squirrels and they are so adorable. I love watching squirrels, chipmunks and racoons. 16. Even though they have bears, cougars and moose they are still afraid of Australia’s sharks, snakes and spiders. 17. They sound like Canadians without the "eh" (or vice versa). But don’t tell the Canadians or the Americans this, it’s highly offensive. Kind of like getting the British, Kiwis and Aussies confused. 18. In the US they drive on the wrong side of the road or rather the right. There are few round-abouts and they are allowed to turn right at red stoplights, unless otherwise advised. The number of honks I have received for stopping at a red light! 19. You can drive down the highway and for the most part never be very far away from any type of amenity at any time - gas, food and accommodation. 20. You can stay in hotels for less than $60 per night. Or for more than $6000 per night. 21. People stress out about being sued. My daughter stubbed her toe outside an American Girl store in Chicago and started crying. We were ushered inside, offered bandages, free shoes and had to fill in two forms. 22. They still use cheques! Or “checks” as they call them. And only just started putting chips on their credit cards. 23. Internet is fast. Like really fast. Like my high speed Internet in Australia was 10Mbps (if I was lucky), and we’ve soared way above 100Mbps in some places. 24. You can buy anything online and even have it arrive the same day if you want. Oh, and it’s really cheap. I bought Caius’ first pair of glasses for US$30 including shipping to Canada, would have been even cheaper if I had it shipped to the US. 25. They move out of home to go to college (university). Far away from home, in other states. 26. They love sports but not like Australians love sports. They love sports nicely; they attend high school games and cheer on college matches. They don’t try to kill each other because of sports (usually). 27. They don’t say “arvo”. Or “uni”. Or any other shortened words for ease and comfort. Here’s a few others they could really benefit from: Salvo (Salvation Army), pressie (presents), Chrissie (Christmas), Sunnies (sunglasses), snags (sausages), loo (restroom), Maccas (McDonald’s) – in fact around Melbourne McDonald’s have changed the majority of their signs to “Maccas”. 28. They all have dryers and use them. I don’t think I even used a dryer before I got to the US. Or maybe once to warm towels up for my husband as a nice surprise when he got out of the shower. But we didn’t even have one for the first 6 years of our marriage. 29. Light switches are backwards. I can never get the lights on. 30. They don’t have bogans, but they do have rednecks apparently. 31. There are American flags everywhere. In Australia you fly your flags proudly for Australia Day, one day per year, then take it down. I really had to keep things succinct on this list – it could have gone on forever. For 2 countries that share a common ancestry, there’s so much a few hundred years of isolation (and a bit of beer) can change. Of course all this is in good humour, no offence intended. If you can think of more US oddities, share them in the comments below. This was great! Love seeing it from your perspective! This is too funny! As Americans, my fiance and I had similar reactions when we visited Australia last year. Love all the shortening of words down under and loved all the kangaroos. They are like the deer of Australia. Seems like every small town has a Chinese restaurant so I do not know where you were looking. Maccas is cute. In most of USA, we saw McDs or MickeyDs. Oh, and drive thrus, go to South Florida for drive thru liquor stores and New Orleans for drive thru daiquiris. This was a fun and funny read. How true. Just last nigt we were surpised at the great prices for entrees at our restarant in Paris until I realized that was just the appitizer. Enjoy some of that good American tea for me. This reminded me of a lot of the "weird" things I noticed when I first got to Oz from the states, especially the light switches! I still sometimes have to flick a switch twice to figure out if it's off or on. This made me laugh so much. Facebook wouldn't let me comment on it, but I am in AUS for the third week and I found the opposite of a bunch of things to be so weird! I finally bought the stuff to make myself some iced tea yesterday in fact! And my husband was trying to explain bogans to me last night. Love this! When we got home from Las Vegas we felt like England was a miniature world. Everything in the USA is huge! And marinara sauce on pasta! It's a tomato sauce over there rather than a seafood one! I was really impressed with Olive Garden too. We had a lovely meal there. Wonderful service, beautiful decor and quite good food (and a ridiculous amount of it!) for a very reasonable price. This was so fun to read! Most of these things make me cringe even as an American. But aren't your clothes so rough without a dryer? Toilets are bathrooms! I love that you can use a bathroom in any cafe or restaurant without having to eat there and never have to pay to use one. And cutlery is silverware. Cutlery in the America means hunting knives etc. Very funny! There a re a lot more, pissed means angry, not drunk. A fanny is your bum! So a bum bag is a fanny pack. There are a lot of them. For a really funny look at the US- read Bill Bryson's Notes from a Big Country or The Lost Continent travels in small town America. LOL funny! His book about Australia. Tales from a Sunburned Country is pretty hilarious as well. Drive thru everything... Including liquor stores. Who wants to get hot? You sit in your air conditioned car, you order, you pay, drive to the next window and get your liquor or beer. Sadly, no, it is not available in all states... Lol! This is so funny! It's so interesting to hear what others think of your country! I'll have to get to Australia someday to notice the difference! Chicken & Waffles is a Southern poor men's food that combines both the main course (fried chicken) & dessert (waffles) in one serving. It's a heavenly dish if cooked right! So true! I feel the same way even though I am an American citizen and hold an American passport, I was born in Bangkok and have lived in Asia almost my entire life. I rarely even go back to America because it gives me culture shock. Oh my god! We are four Americans traveling since July 2015 and currently in Sydney. I just read this aloud to my family and we are dying laughing. We've been saying many of the same things in reverse, including "why are these pizzas so small?" just last night! Thanks for the post, and for the inspiration before we took take time off for our own journey. One thing that stood out to me while I was in the South is their vegetables....or lack of veggies. When they did have them on the menu they were served with bacon! What's wrong with good old broccoli?! After a few weeks I cracked and ate a bag of baby carrots in a Walmart parking lot.